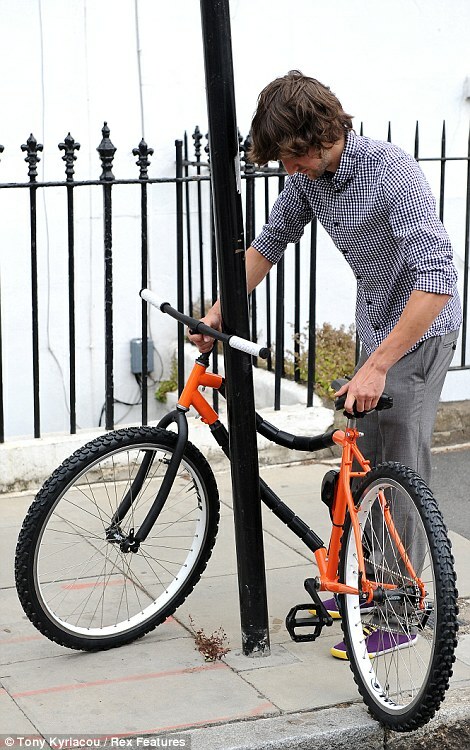 Ever seen a bicycle that can be wrapped around a lamp post? – ¿¡ tjongolongo ?! Designer Kevin Scott has invented a folding bicycle. 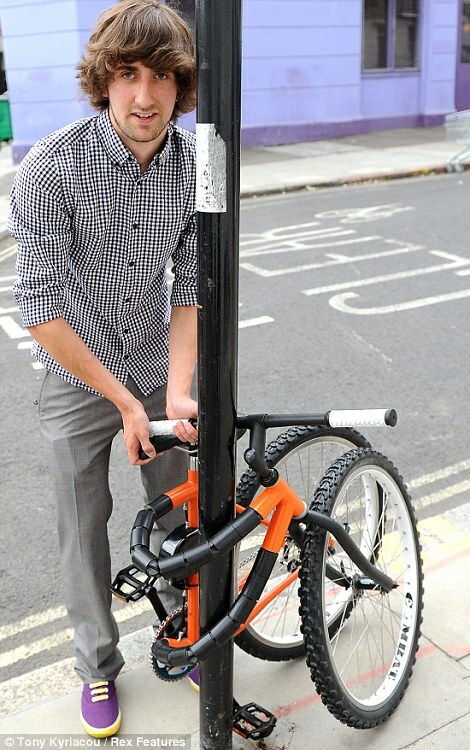 Not only can it fold, after folding it around a lamp post you can also lock the bike! No extra lock or chain needed, tjongolongo, how cool is that! As you can see from the pictures, the bike actually works! The guy in the pictures is the 21 year old designer himself, Kevin Scott. Kevin is currently looking for a backer that will help him develop the bicycle even further. Personally, I love this concept! If you can’t find anywhere for your bike to park, just wrap it around a lamppost! 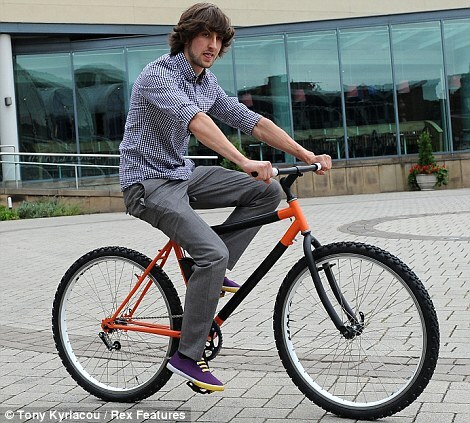 Depending on how he will further develop this bicycle, his invention could mean a revolutionary change for the bicycle industry. I’m quite keen to find out what he’ll come up with in the end and whether or not it’ll take off! Do you think he’s on to something?